Hi girls, we girls have a lot of hair and scalp problems nowadays because of using many chemical based hair care products and treatments, and using shampoos and conditioners, heating our hair using straighteners, curlers, hair driers, these products definitely make our hair rough, brittle and producing many scalp based problems like dandruff, scalp itching etc.. But we can’t able to stop the usage of these chemical based products because we addicted to it. To save our hair and scalp from those chemical based killers we have to avoid using those chemical products. To keep our hair healthy Weekly once or twice we have to put hair packs using natural ingredients only don’t put chemical based hair packs after putting hair packs don’t wash it with chemical based shampoo. It will completely destroy all nutrients and benefits which we get from the natural hair pack, so it will be total waste for you. So here I’m to share my herbal based no chemical shikakai powder this will took time to prepare but the result is unbeatable. Let’s see how to prepare this awesome shikakai powder. Dry all the ingredients under the sun for 4 to 5 days. And get that to the flour mill to grind it into a fine powder. We can’t powder it in mixer grinder. So you should get it to the flour mill. After making it into a fine powder. Mix it with the curd or lime juice or plain water. Before going to wash your hair if possible u can apply any herbal hair pack. And then wash your hair with water and apply this shikakai powder after removing all the residues of the hair pack. Then leave the shikakai on your hair for 2 to 3 minutes and then was it off with lukewarm water. You have to thoroughly wash your hair because fine particles of shikakai will settle down on your skin and may cause any scalp based problems, so make sure you wash your hair thoroughly using water. After washing your hair don’t use any conditioners. That’s all you are done, now you have to dry your hair using soft cotton towel. Don’t use any hair driers also. Neem and tulsi leaves act as an antibacterial, helps to remove lice and nits. Fenugreek seeds, amla, hibiscus flower, avarampoo helps to improve hair growth and makes your hair so soft and shiny. Soapnut helps to create little foam, shikakai and green gram helps to remove oil greasiness from your hair and scalp. 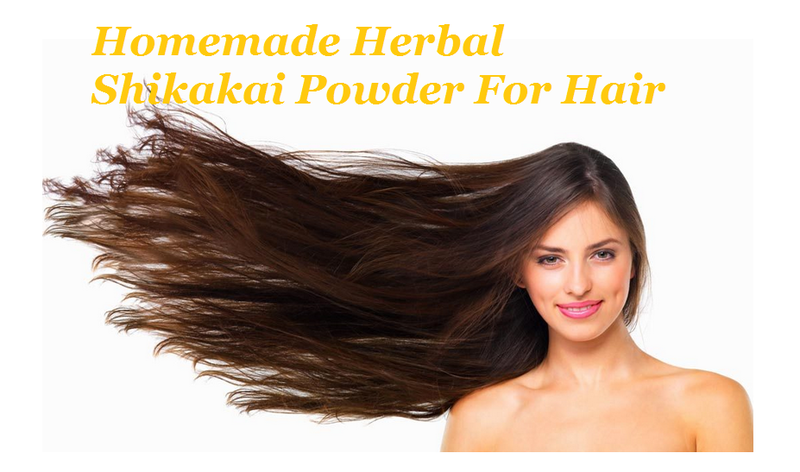 I mentioned only few benefits of this herbal shikakai powder but it gives you more benefits. Please give it a try and leave your comments and doubts I will clarify everything.